The MUVI X-Lapse is the must have accessory for every film maker who wants to add something different to their movie edits. 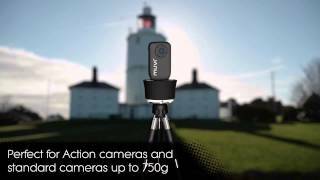 The MUVI X-Lapse enables a film maker to take up to 360° degree sweeping time-lapse images that when edited together create an amazing movie effect. 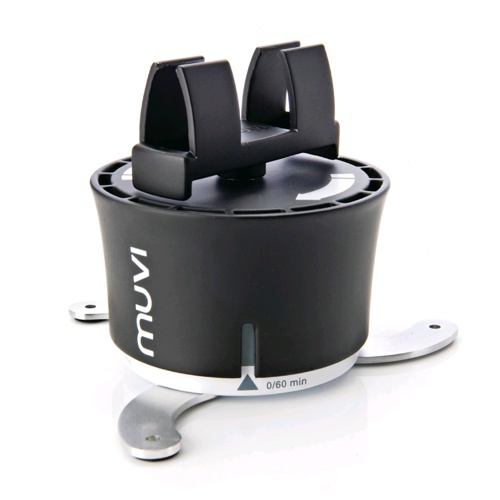 It has both male and female standard 1/4 -20 UNC tripod screw threads for both mounting cameras on and also for mounting the MUVI X-Lapse onto a tripod, perfect for lightweight action cameras with a continuous photo mode such as the MUVI HD or GoPro or standard cameras with a time-lapse feature up to a weight of 750 grams. For cameras that are slightly top heavy the MUVI X-Lapse has integral fold out feet to support and distribute the weight. 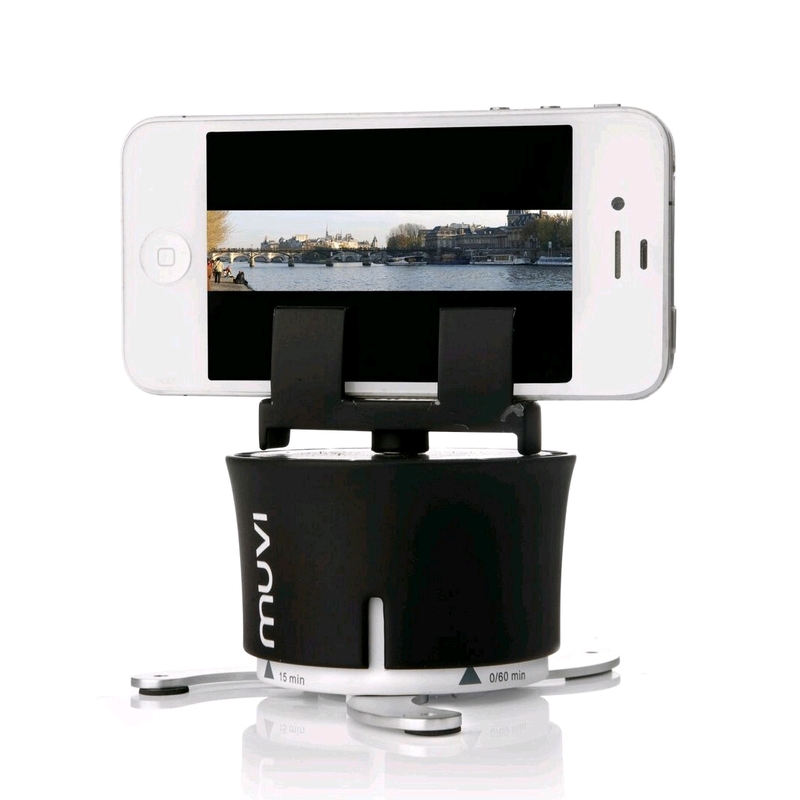 As well as using with camcorders/cameras the MUVI X-Lapse ships with a holder for iPhone/Smartphone and in conjunction with a multitude of smartphone apps enables even the most inexperienced user to make super cool sweeping time-lapse movies. 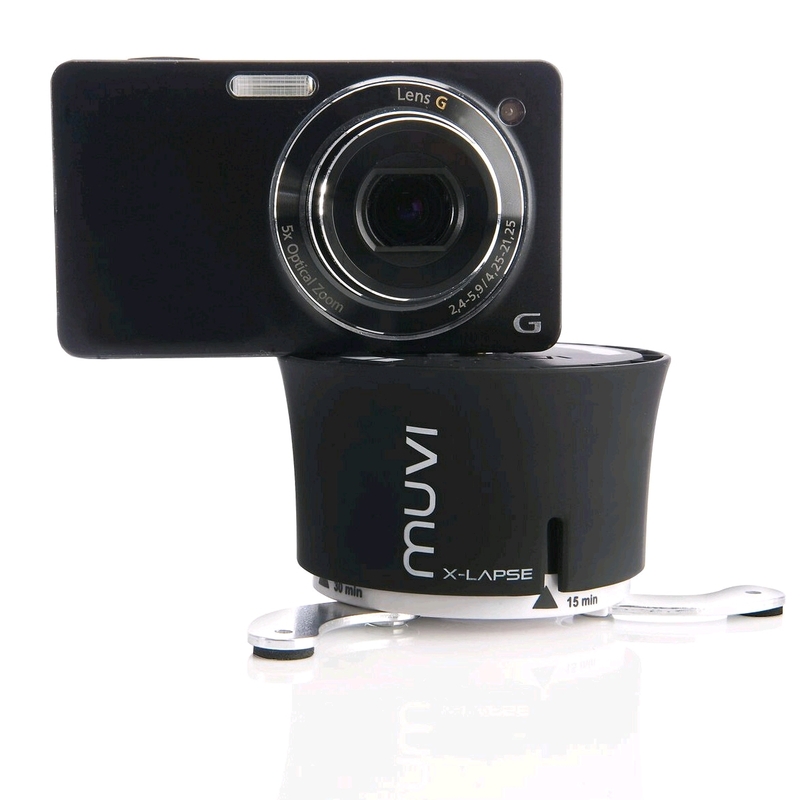 Another option for the most creative of photographers is creating panoramic super wide angle photos by using the MUVI X-Lapse to slowly sweep a panoramic view while the camera or smartphone takes intermittent shots. 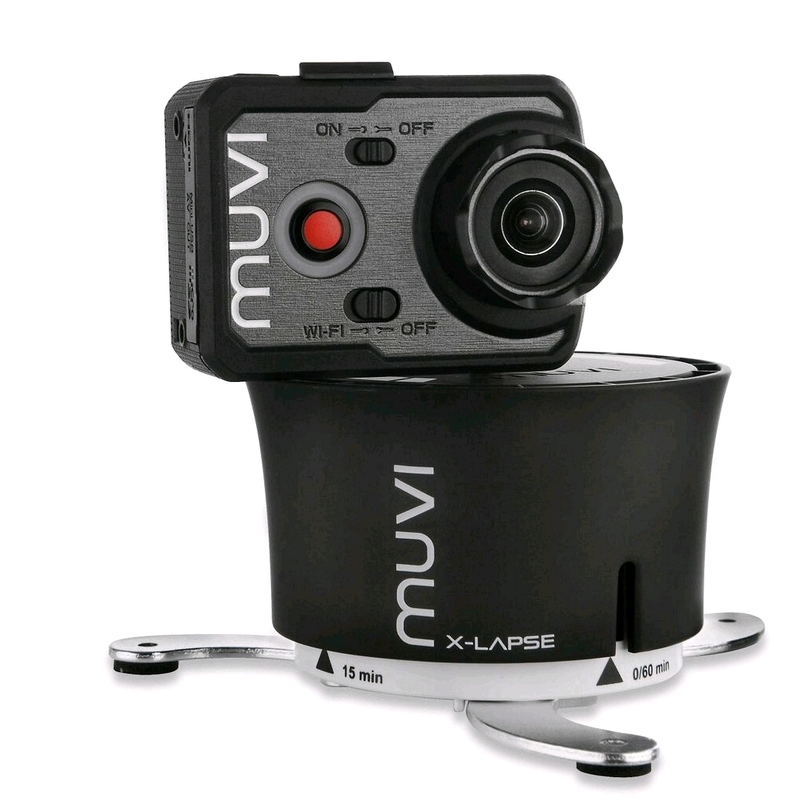 NB – The MUVI X-Lapse does not come with an app or software but these are readily available on app stores and the internet. - Create 90° degree (15 minutes), 180° degree (30 minutes), 270° degree (45 minutes), 360° degree (60 minutes) sweeping time-lapse films. - Create 90° degree, 180° degree, 270° degree, 360° degree panoramic pictures. - Mount cameras up to 750 grams on the standard 1/4 -20 UNC male tripod screw thread. 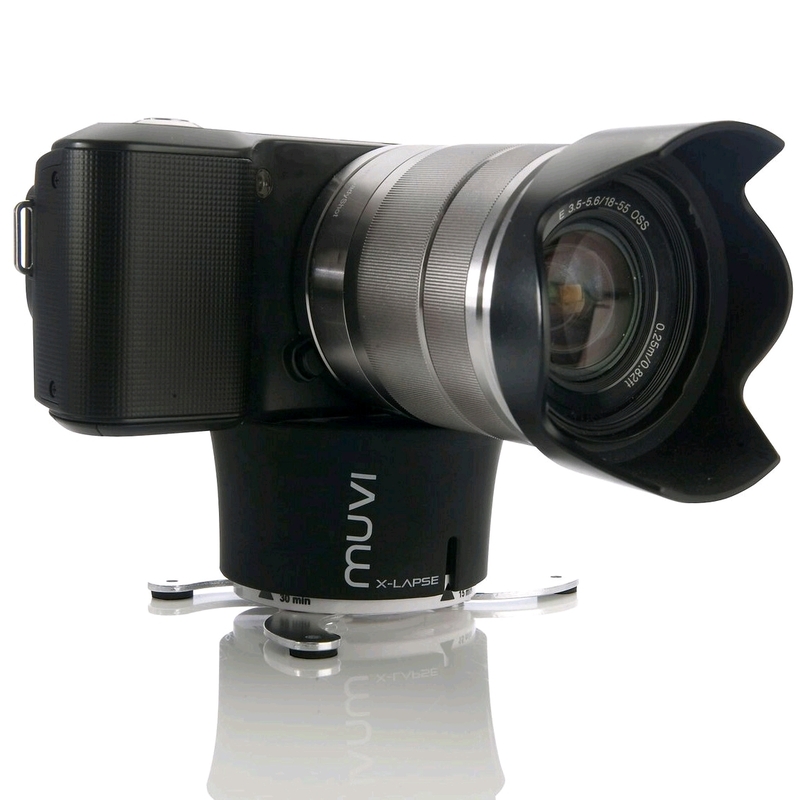 Perfect for the MUVI™ HD or other actions cameras with continuous photo mode. - Standard 1/4 -20 UNC female tripod screw thread for mounting on Veho DuoPod tripod or other tripod systems. - Integral fold out feet to stabilize and support larger cameras. 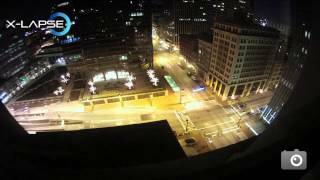 - Ships with iPhone/Smartphone holder to enable panoramic time lapse photography using your smartphone with apps such as Time Lapse Pro or Glimpse Pro.